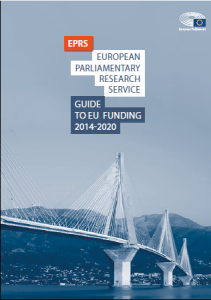 Having trouble finding the right EU fund for your project? 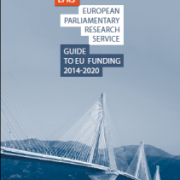 The Research Centre of the European Parliament, also known as the EP Think Tank, has published the latest Guide to EU funding for the period 2017 -2020. Readers can look for simple information about funding opportunities for the most relevant EU funds. The main funding themes have a dedicated section about its aims and a list of potential beneficiaries, which is not an exhaustive one. However, funding opportunities may also be found in other areas. Much depends on the nature of the project submitted, its scope and priorities. As new funding elements emerge on a continuous basis, the guide will be updated regularly in order to keep up with the changes.